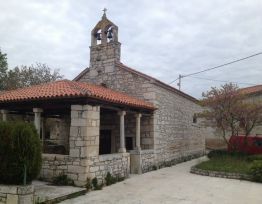 Šorićevi dvori are located in Barat, a village on the slopes ofthe Lim valley and near to Kanafanar. 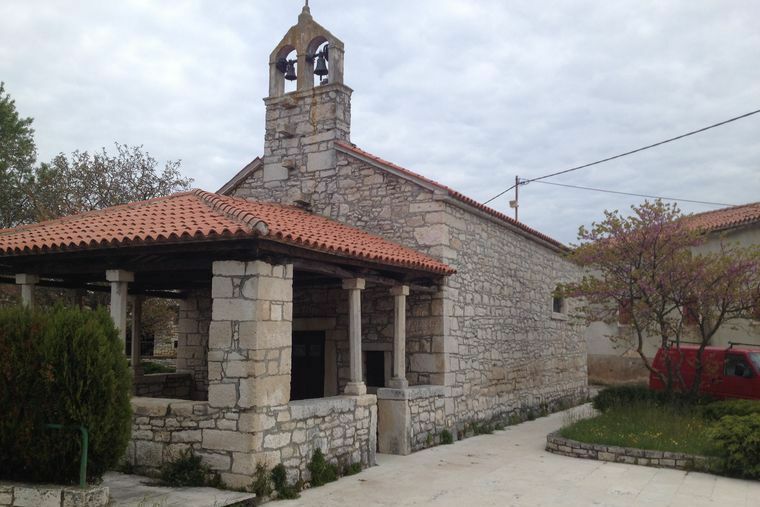 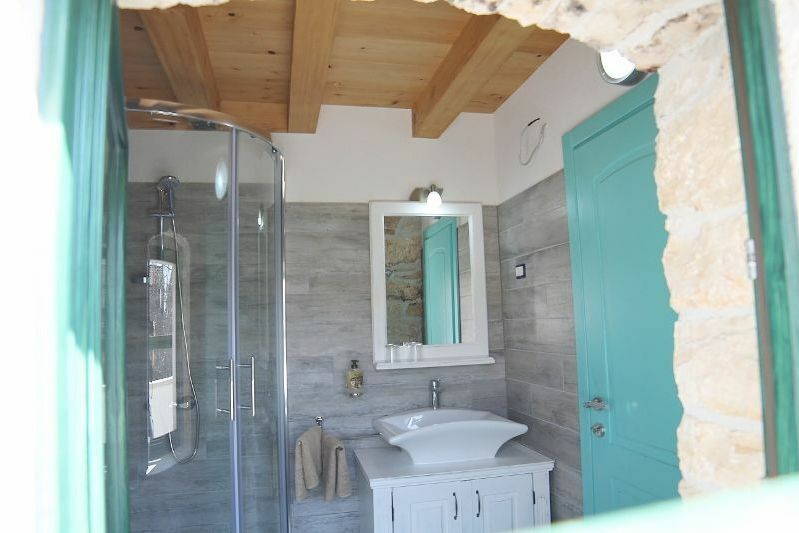 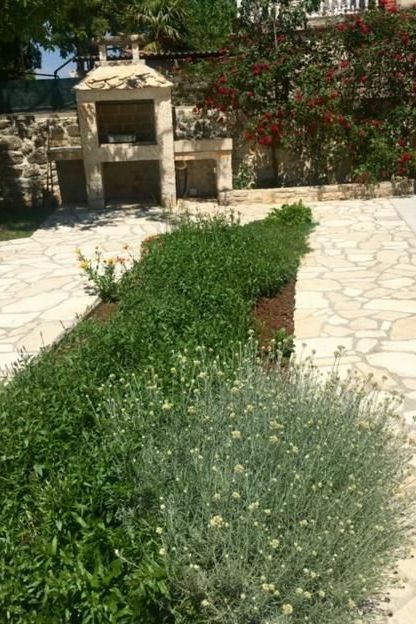 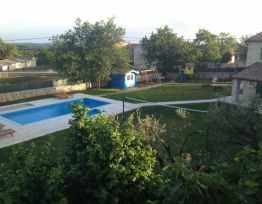 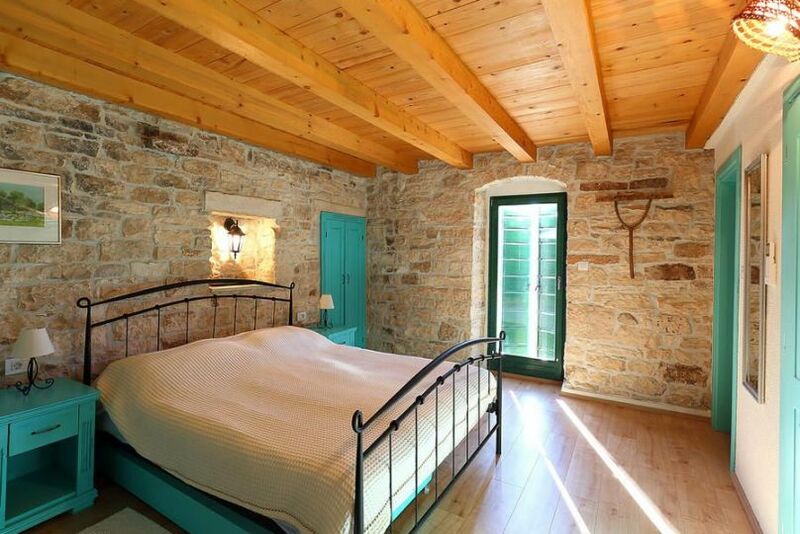 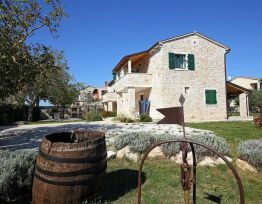 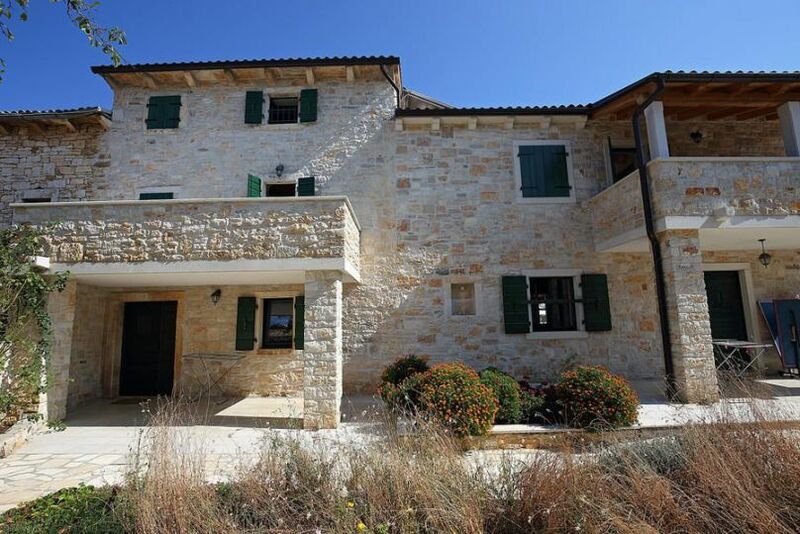 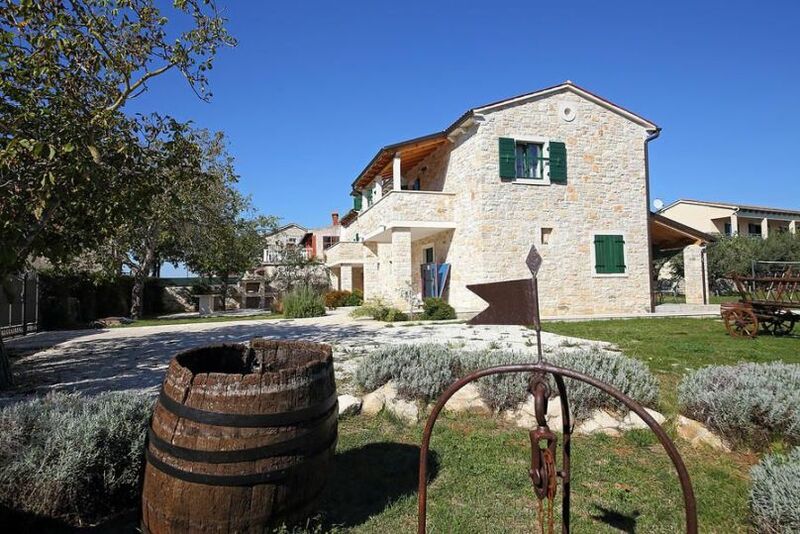 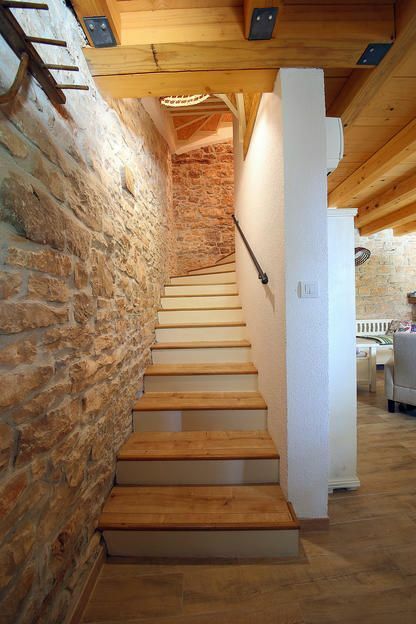 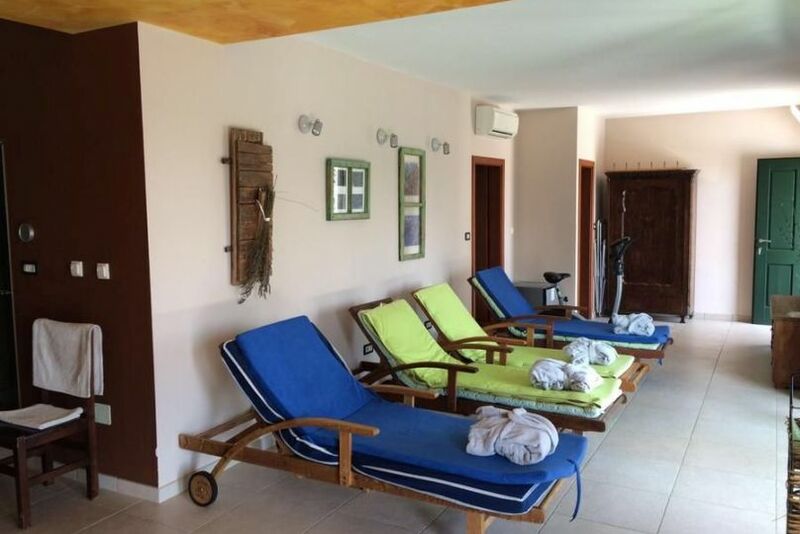 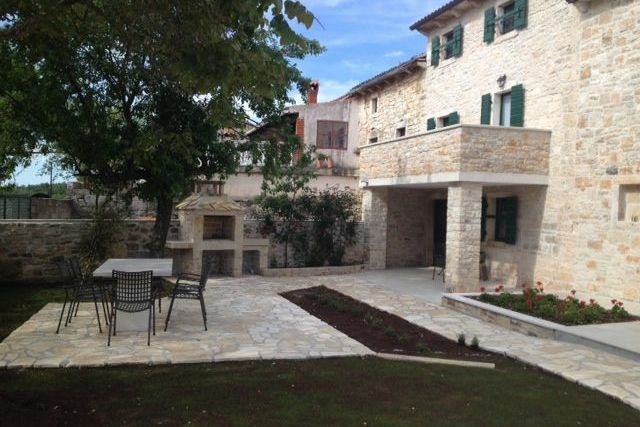 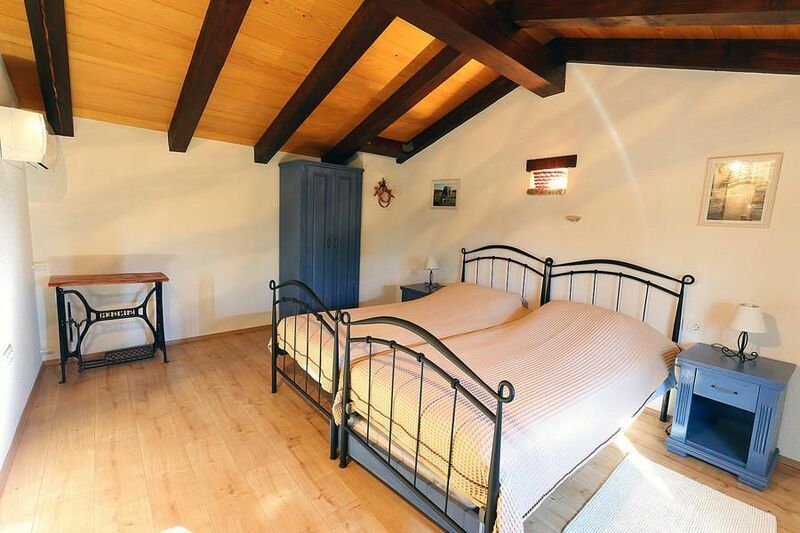 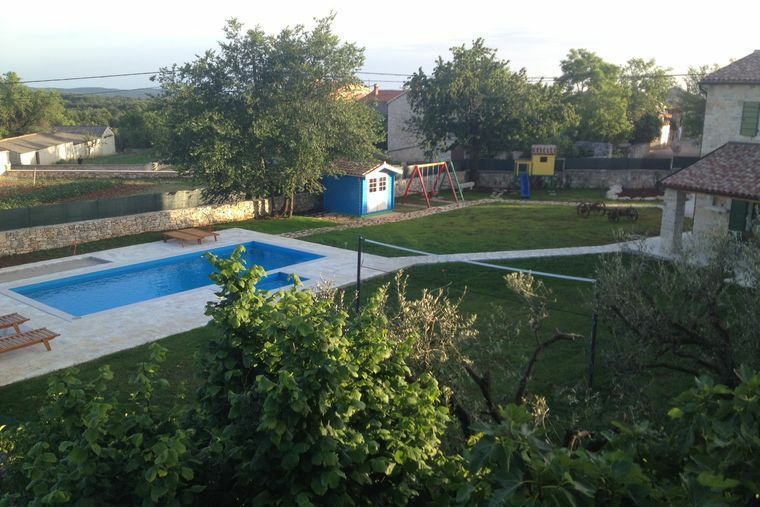 Šorićevi dvori consist of villas Mendula (Almond) and Ulika (Olive), wellness and a spacious courtyard where we placed pool, volleyball and children’s playground.These beautiful houses were renovated in the spring of 2014.During the renovation we tried as much as possible to preservethe abundance of authentic details of stone and wood. 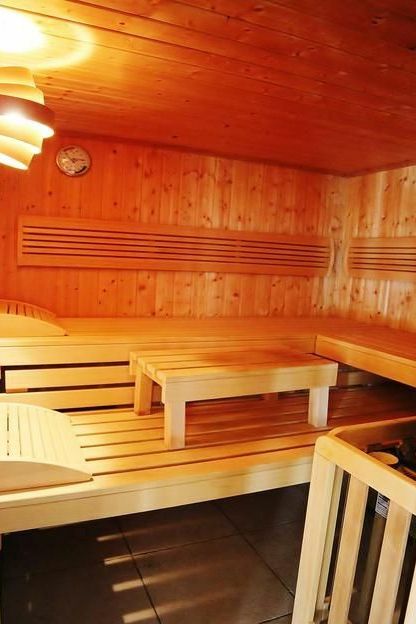 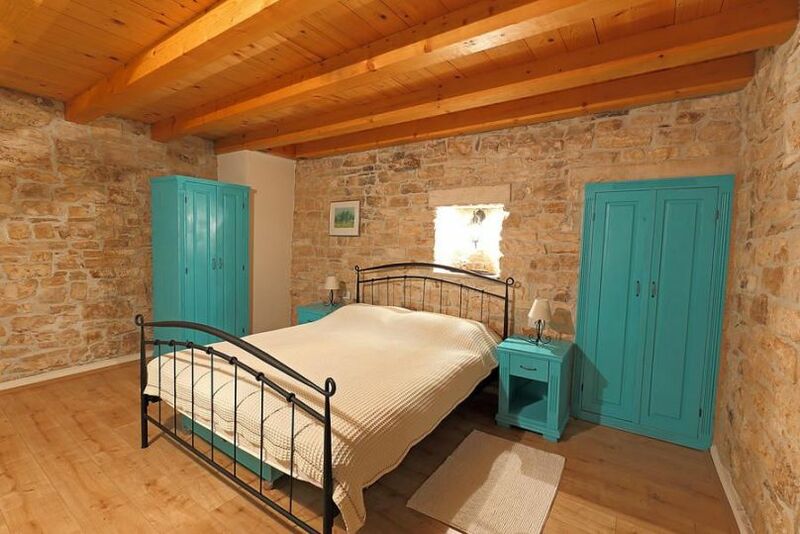 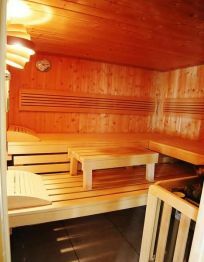 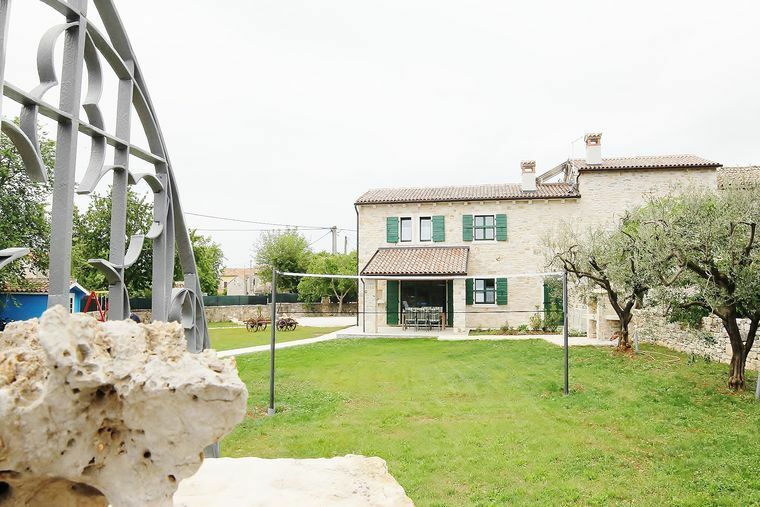 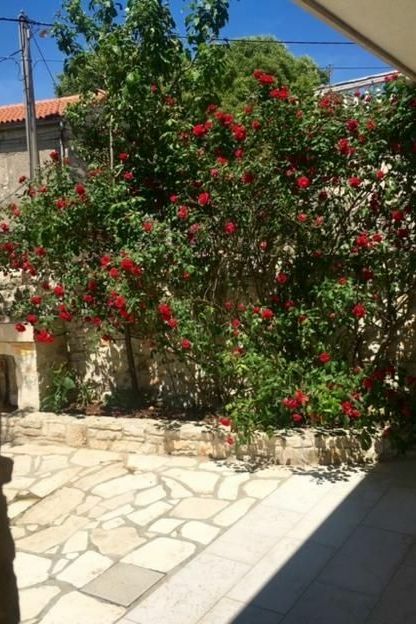 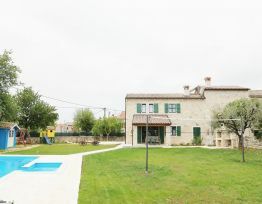 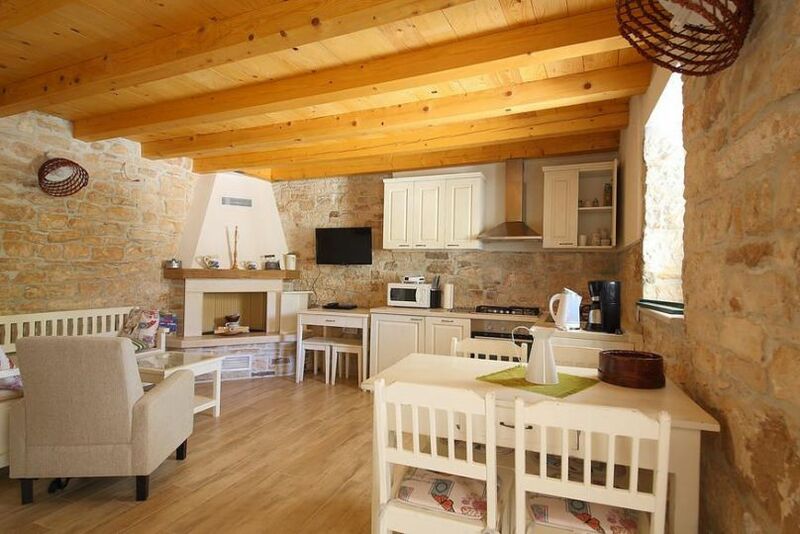 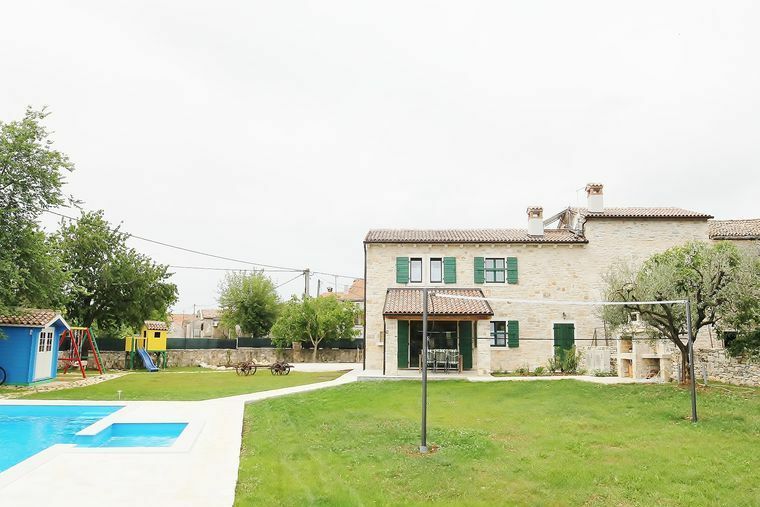 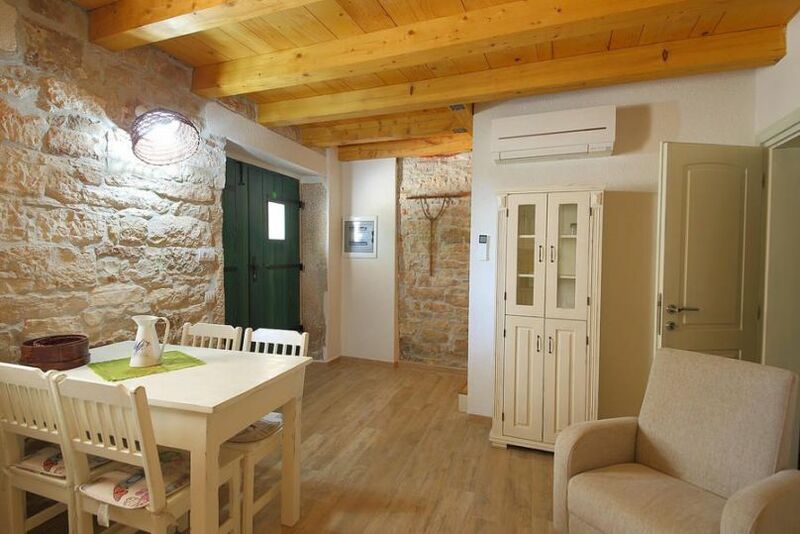 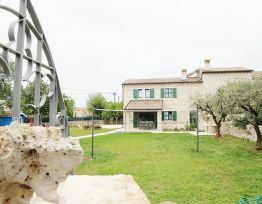 The houses are equipped with all necessary appliances and furnished with shabby chic furniture, all to provide you with maximum comfort.Surface of the houses is 250 m². 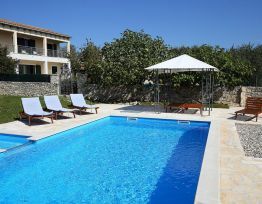 Villas can accommodate 8-12 persons.To the guests are also available free Wi-Fi, safe, satellite TV, DVD. 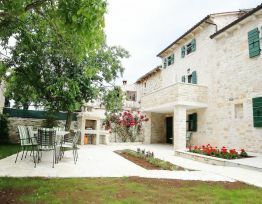 Villa Mendula has three floors . 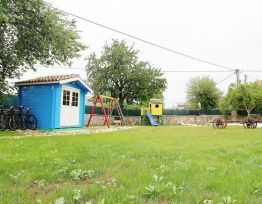 Surface of the will is 100 m². 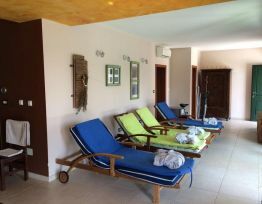 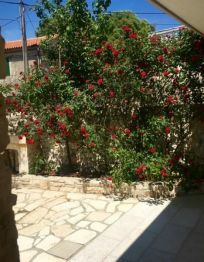 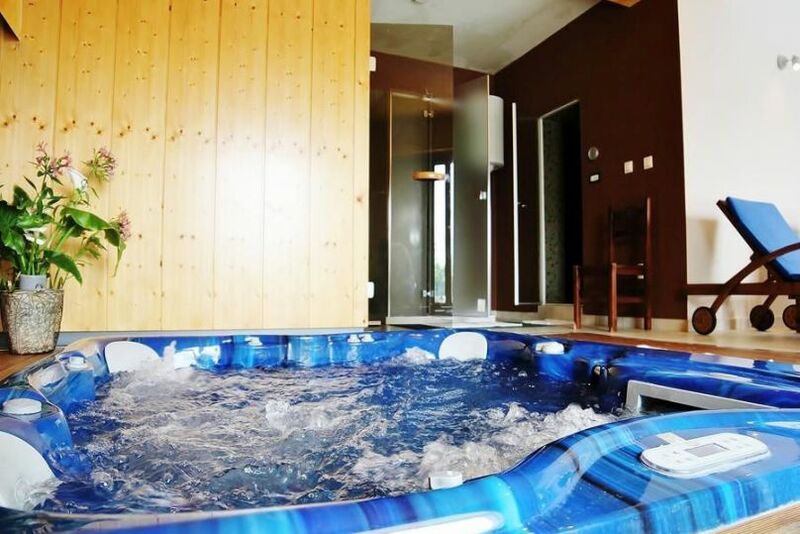 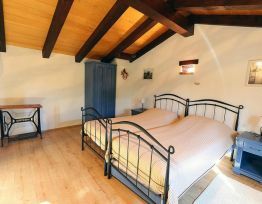 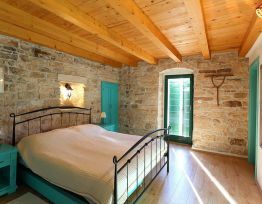 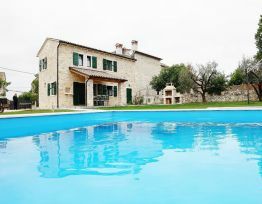 The villa can accommodate 4-6 persons. 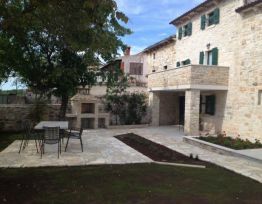 At the entrance to the villa there is a covered terrace. 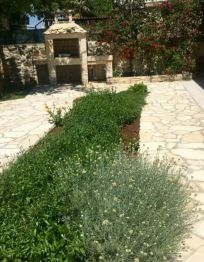 The villa has its own garden with a stone table for 6 people and an outdoor fireplace / grill. 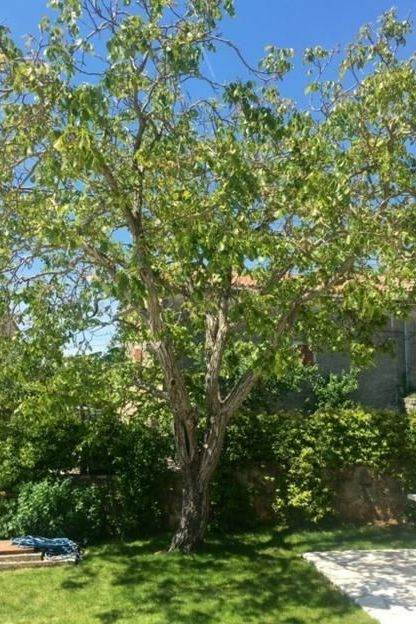 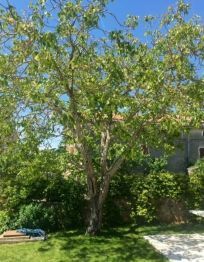 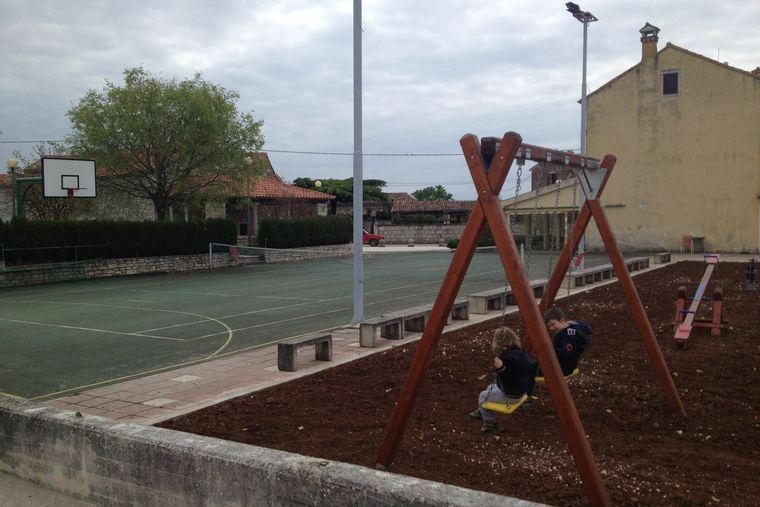 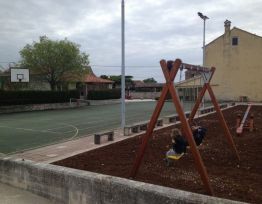 To this space which was created for enjoying the outdoors shade are providing trees of plums and walnuts. 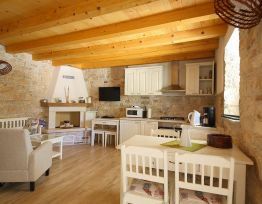 All rooms in the house are air-conditioned, furnished with shabby chic furniture and equipped with all necessary household appliances. 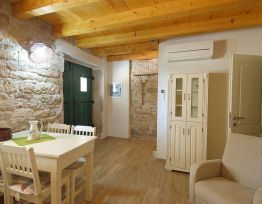  To the guests are also available free Wi-Fi, safe, satellite TV, DVD. 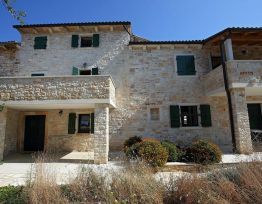 On the ground floor are located kitchen, dining room with a table for 6 people and a living room with a fireplace, sofa, armchairs and a vanity table . 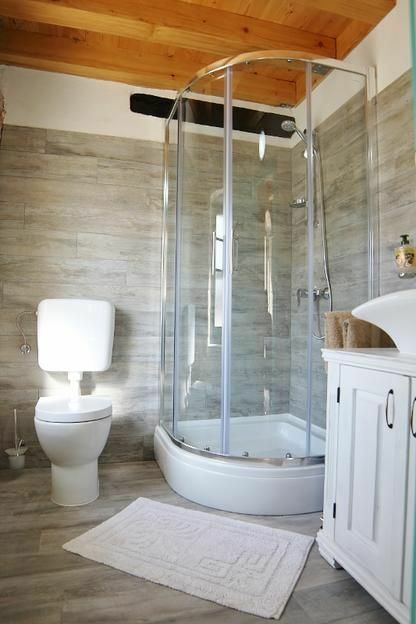 On the ground floor there is a separate toilet with a washing machine. 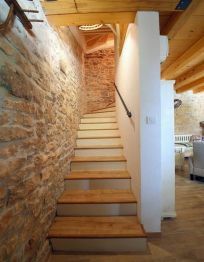 Internal staircase leads to the first and second floor where there are two bedrooms: turquoise green room and Venetian blue room . 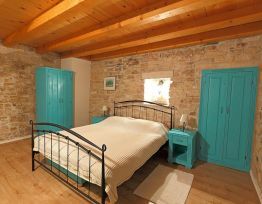 They are furnished with metal beds and turquoise green and Venetian blue wardrobes with bedside cabinets . 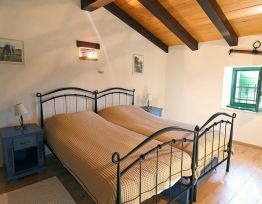 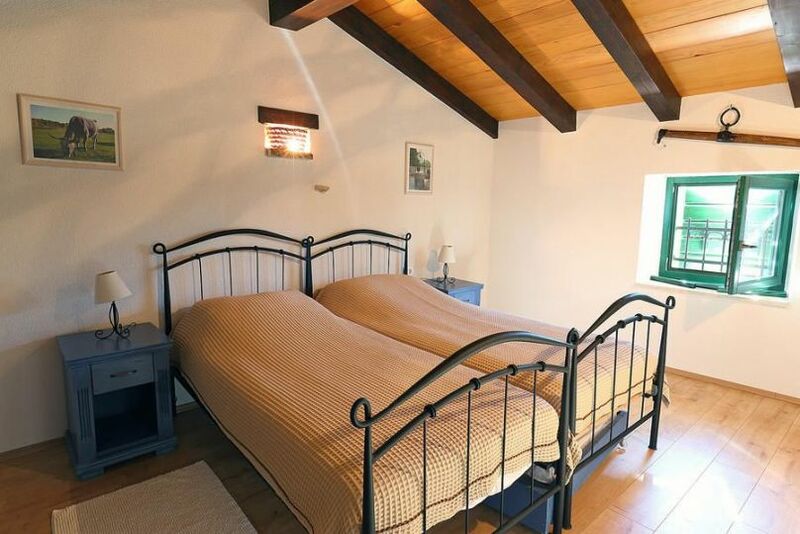 On the first floor there is a bedroom that has a private terrace. 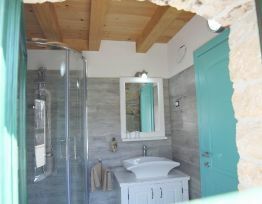 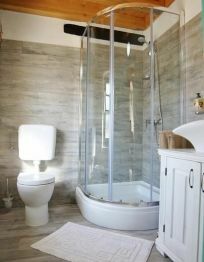 Each room has its own bathroom with shower and toilet.